It may come in the form of that panic-inducing blank screen, an accidentally deleted folder, a computer crash that wipes out all of your photos and personal documents, a power surge that leaves your computer crippled, or a grinding noise that leaves files missing and your heart pounding. Data loss can happen because of hard drive failure, overwriting data, accidentally deleting files, power surges and even a fire or flood that damages your computer. However it happens, it can be a major blow. The good news is that data loss is preventable and—in the hands of a good San Francisco computer data recovery company—data recovery is often possible. If you've experienced the loss of important files, photos, music, books, documents and more stored on your computer, stay calm. Stop using your computer immediately (working on or saving files, and even attempting to recover the data yourself can result in further damage and loss), and read on for tips to find a good computer data recovery service in Sunset District, Richmond District and Mission District and the rest of San Francisco that can help you get back what you've lost. The first thing to do if you are worried about lost data on your computer is to stop. Don't attempt to access or open files, back up your computer, or try software recovery programs at home. This can prevent further loss, and can keep you from inadvertently saving new data over deleted (but not yet overwritten) data. Continuing to work on your device or trying to back up or recover lost files and data can permanently destroy missing data and make it so that even the best San Francisco computer data recovery specialists are unable to retrieve the files. There are software programs that promise to help computer users recover their own missing, lost or damaged files. These may be useful and may even completely restore what you've lost. However, there is no way to tell that before running the programs, and doing so may further damage corrupt files or save over lost files that still remain on the hard drive. These programs and the changes they make may also make it harder or impossible for professional computer data recovery services in San Francisco to locate, retrieve or repair files and data. Proceed with caution if you think you want to try recovering your data yourself with the help of a software program. If the data on your computer isn't vital (such as irreplaceable photographs and documents), you may want to attempt it. You may also want to talk with San Francisco computer data recovery specialists in the Tenderloin, the Excelsior District, and Bernal Heights or your area about the best course forward. Some will provide diagnostics that can help you decide if you can handle the data recovery yourself, and others may be able to advise you on the best course of action for your specific problem. The old adage is correct—prevention is the best medicine. That's especially true when it comes to computer data. Computers are machines, and all machines are fallible. Eventually, every computer will experience trouble of one kind or another. Likewise, people make mistakes; user error such as accidentally saving over a wanted file, deleting needed data, or misfiling an important document can be just as catastrophic as entire computer drive failure depending on the files or documents lost. Backing up your files and important documents is key to preventing complete loss in case of a disaster or hard drive corruption. This may be with an external hard drive or to the cloud. Where you store your items isn't as important as having a backup location and regularly backing up your device. Some require you to hook up your computer, manually back up files or set a schedule for automatic back up, while others will automatically back up your documents and files to the cloud or an external device. You'll also want to consider where the backup is housed. It's recommended that you keep irreplaceable files in the cloud or in a separate location than your computer. Fire, flood, or other damage to your home that destroys your computer will probably also endanger your on-site backup, so storing important information in a different location is smart. Why Trust Diamond Certified Computer Data Recovery Companies Rated Highest in Quality? 1) Accuracy: All research is performed by live telephone interviews that verify only real customers are surveyed, so you'll never be fooled by fake reviews. 3) Full Disclosure: By clicking the name of a company above you'll see the exact rating results in charts and read verbatim survey responses as well as researched articles on each qualified company. Mike Cobb is a veteran of the computer service industry and director of engineering at DriveSavers, Inc., a Diamond Certified company since 2013. He can be reached at (800) 440-1904 or by email. Through these early experiences with computers, Mike developed an interest that led him to get his BS in computer science from University of California, Riverside. Following college, he landed a job doing technical support, where he gained further experience helping customers with data loss issues. In 1994, he joined the team at DriveSavers, Inc.
A: Spain. My wife and I recently visited Italy on our first trip to Europe, and Spain is next on the list. A: Birthday cake with fruit filling. A: I’m actually trying to get rid of things these days, but I used to collect $2 bills. I got a couple of uncut bills from Washington, D.C. during a high school trip and that got me started. DriveSavers Data Recovery certified engineers have extensive knowledge about all types of computer storage. These associations are those that welcome local computer data recovery companies to become members. They may have more information about computer data recovery services and how to hire companies near you if the articles above aren't enough information. You'll want to have a clear idea of your needs and expectations before you start calling San Francisco data recovery services in Pacific Heights, North Beach, Excelsior District and the Sunset District and your location. This will keep you organized and will help ensure that you find a local computer data recovery company that meets your expectations for service and performance. The following questions are some you may want to ask yourself as you begin. Do I want a Diamond Certified computer data recovery company that is rated best in quality and backed by the Diamond Certified Performance Guarantee? Is my entire computer experiencing problems, or is it a few localized files or documents? When did I notice the missing, corrupted, deleted or damaged files? Do I want computer data recovery companies in Nob Hill, North Beach, the Sunset District, SOMA and the Bayview District or my area to come to my home? Or am I willing to travel to their location to drop off and pick up my computer for service? What is my budget for data recovery services? Do any backup copies of these files exist? If so, how recent was the latest backup? What professional qualities do I expect from my San Francisco computer data recovery specialists? Telephone interviews are helpful in narrowing your list of local computer data recovery companies that can provide the services you need. However, they can only tell you so much. In order to make the smartest decision possible on which San Francisco computer data recovery company in Sunset District, Richmond District and Mission District and beyond can best help you, you’ll want to choose three or so (preferably no more than five) local companies to give you an estimate for services. This estimate should include a line-item listing of every service the company will provide and the charges for those services. All charges, including diagnostic fees, shipping fees, processing costs and more should be clearly stated. Also stated should be any guarantees the companies make as to whether they can restore your data and what, if anything, they promise if the data can't be restored. The following are some questions you may want to ask good data recovery companies in your area that, along with their estimate for services, will help you choose the best company for you. Do you offer on-site computer data recovery estimates or diagnostics? Will I need to ship in my computer or drive to you, or can I drop it off in person? How long should the recovery effort take? If you can't get my data back, can you recommend other companies or services that may be able to help? Will you keep in contact with me about the process and your findings? Will you contact me to get approval for any major work or services that extend past the services and fees listed in the estimate? How will you return my data and original hardware to me? As you already know, it's wise to choose a local Diamond Certified computer data recovery company near you because all certified companies have passed an in-depth ratings process that most other companies can’t pass. Additionally, Diamond Certified reports are available online for all certified companies. Best of all, you’ll never be fooled by fake reviews because all research is performed in live telephone interviews of actual customers chosen at random from the companies' entire customer databases. If you can’t find Diamond Certified computer data recovery companies in the Tenderloin, the Excelsior District, and Bernal Heights or within reach, you’ll have to do some research on your own. If you do, start by calling some references provided by your computer data recovery companies. While references provided to you by computer data recovery companies are not equal in value to the large random sample of customers surveyed during the Diamond Certified ratings process, they can still be valuable. Just be sure you take into account the fact that most references given to customers from companies are cherry-picked instead of randomly selected. So the data recovery services will likely give you a few customers to call that they know are satisfied. Still, talking with previous customers can give you insight into what you can expect from the companies you're considering. If you do call references, ask for a list of the San Francisco data recovery companies' 10 most recent customers. This will help avoid them giving you the names of only customers they know were satisfied. The following are questions you may want to ask San Francisco computer data recovery companies in Pacific Heights, North Beach, Excelsior District and the Sunset District and beyond. Were you satisfied with the service from _(San Francisco computer data recovery company name)_? What was the type and scope of job they did for you (computer hard drive recovery, missing file location, deleted file restoration, corrupted file repair and restoration, USB drive repair or file recovery, etc.)? Were the representatives from this computer data recovery service prompt and personable? Did they explain to you the status of the work and keep in touch while the recovery efforts were in progress? Did they complete the data recovery attempts in a reasonable amount of time? Were there unexpected costs not reflected on your original estimate? If so, what were they for and were they avoidable? Did you send in or drop off your computer, hard drive or corrupted disks? Did the data recovery companies charge extra to travel to your home if you live in a smaller San Francisco jurisdiction such as Barbary Coast, Golden Gate Park, Haight-Ashbury, Laurel Heights, Outer Richmond, Telegraph Hill,Sea Cliff, Potrero Flats, the Presidio or others? Were they able to recover the files or data that you hired them to repair or find? Did the data recovery company return your original hardware, computer or disks after the data recovery services were complete? Would you recommend this data recovery services to friends or family? When you need data recovery service in the future, will you hire this company again? Is there anything you wish you would have known before hiring them? Before deciding on the best computer data recovery companies in San Francisco and the Greater Bay Area for you, it’s important to consider the following questions. Did one of the San Francisco computer data recovery companies stand out above the rest when it came to services, reputation, answers and helpfulness, attentiveness, value, education and knowledge about your problem? Were the San Francisco data recovery specialists you spoke with knowledgeable about the problem and solution to your data recovery needs? Were they sensitive to your budget and able to offer a good value for their services? Was there a data recovery company that seemed to best fit your needs, and could relate to you about your problem? Computer data recovery services in San Francisco and throughout the Greater Bay Area work best with clients that are fair, honest, level-headed and reasonable. While its understandable that customers who have lost data or important files can be upset, never take that out on the data recovery company you hire. Show that you understand the importance of hiring a knowledgeable, professional data recovery company rather than the one that offers the lowest prices. As with any service, you usually get what you pay for. Cut-rate data recovery companies can't usually get you the same results as those that hire experts and provide top-notch recovery services. So ask as much about the process as you do the price. Be honest about the problem, when it started, how it manifested, and what is missing. Your San Francisco data recovery team can't serve you best unless they know all the details. Be clear about what you need and expect. Write down specific directions and requests. This will help the computer data recovery companies you interview give you the most accurate bids possible, and it will help them know whether they can meet your needs. Interview and hire local data recovery companies near you. Local businesses may have more of an impetus to provide quality work for customers that live and work in their local area, unlike internet companies or companies based abroad that deal in volume. Form a relationship with your San Francisco computer data recovery company. They may come in handy time and again for problems with hard drives, lost data, missing files and more. Don't underestimate the value of having an existing relationship with a professional local company near you. Keep in mind that the nature of data recovery work and the problems that cause missing, corrupted or lost data can make it very hard and, at times, impossible to recover all missing or damaged data and files. While good San Francisco data recovery companies are often able to recover and restore missing data, that isn't always the case. Your local data recovery service should be upfront with you about the chances of recovering your data, but you should also go into the process with realistic expectations. Once you've done your due diligence and found a computer data recovery and restoration service in the Tenderloin, the Excelsior District, and Bernal Heights and near you, it's time to move forward with the data recovery process. This usually starts with you and your company representative signing a contract or estimate for services. This protects both you and the company, so the contract or estimate you sign should reflect your expectations and those of your San Francisco data recovery company. A good contract will include concrete details about the scope of work needed, specific services to be rendered, expected or hoped-for outcome, pricing, expected time frame for the services, drop-off and pick-up details, any warranties or guarantees, and other items that are specific to your job. Your San Francisco data recovery service should provide you with this contract (it may also be a copy of the estimate that you sign). They should also give you time to read over it and a chance to ask any questions you might have. Be sure you completely understand any contract you sign; and never sign a document that is blank, incomplete or inaccurate. Your time to ask questions is before you sign the contract, so don't feel badly asking for clarification. Any good company will want you to completely understand and agree with the terms to which you're agreeing to in such a legally-binding document. You may also want to write in items that you verbally agreed upon with your computer data recovery technician. This protects you by ensuring that you get all services you requested and are expecting. Not all computer data recovery companies offer guarantees, but some do. If the company you're hiring guarantees their pricing, services, or other part of their work, make sure they add that in writing to the contract you sign. There may be no recourse for verbal promises and guarantees, so protect yourself by asking for written verification. This includes deals that promise lower fees or a discount if the data is not recoverable. Then, set a date for the services to begin. Ask if you need to drop off the computer, hardware or drives and set a time when you can talk with the computer data recovery team about their findings. Your computer data recovery service should have the skills, tools and ability to recover all lost data and deleted files that are possible to recover. While you may not need to take part in the actual data recovery services, you can take steps to be a good customer during the data recovery process. Here are a few simple steps you can take to be a good customer when hiring San Francisco computer data recovery companies. You may find that by following these steps, you have a more positive experience with your data recovery specialist regardless of the outcome of the data recovery process. Be clear and upfront with the San Francisco computer data recovery companies. Let them know about the problem, what you want, the outcome you’re expecting and specific ways they can satisfy your expectations. It's your data recovery company's job to do their best to recover your data. However, the very nature of the work and the causes of lost, corrupt or missing data, may make it impossible to recover all data. Remember, being friendly and polite can reap positive rewards when it comes to interpersonal communication with your data recovery specialist. Even if you don't get the results you were hoping for, it's important to remain professional and level-headed. Before you hire a computer data recovery service in San Francisco, restate your expectations and goals, and reiterate your understanding of the agreement and potential for the data to not be recoverable. Most problems with local computer data recovery occur because of a breakdown in communication. Clear communication about your expectations and theirs can help avoid most conflicts. Ask your computer data recovery companies if you should call to check on the progress or if he or she will call you with updates. Be sure your service representative has a phone number where they can reach you at all times while they’re working on your computer data recovery. The work will move along more smoothly if your computer data recovery technician can reach you with necessary updates, questions or for work authorizations. When your data recovery specialist contacts you, return calls promptly to keep the data recovery moving along smoothly. Pay for the data recovery work promptly. Why would you want to be a good customer? Computer data recovery companies in San Francisco, including those in Pacific Heights, North Beach, Excelsior District and the Sunset District, Noe Valley, Rincon Hill, Glen Park, the Castro, Cow Hollow, Eureka Valley, Japantown, Inner Sunset District, Potrero Hill and beyond appreciate customers who are straightforward, honest and easy to work with. When the work is completed, you'll want to meet with the San Francisco computer data recovery specialist that worked on your computer or drives and talk with them about their findings and any files they were able to recover. Get details about the problem, the solution, and any files or documents they could not recover or repair. They should return to you the files they were able to find and recover, and this is your chance to verify that the files are present and in the condition stated in the invoice. The computer data recovery company name and physical address. An itemized list of all materials used (this may include new hardware or components needed to repair your existing system or to store the files on once they were recovered). The total cost for the computer data recovery services. The total cost for diagnostics and other fees separate from the recovery services. A written explanation of any guarantees provided by the product manufacturers and the computer data recovery companies. The nature of computer data recovery services make guarantees hard to make and even harder to stick to. However, if the San Francisco data recovery company you hired promises a certain result, they should be willing to put the details in writing. This may include promises or guarantees regarding how much data can be recovered, or price discounts if the files are not recoverable. The San Francisco computer data recovery company name and physical address. A description of what exactly the guarantee covers. Your responsibility and what you need to do to redeem the warranty. When computer files and data become corrupted, damaged or lost, you want them recovered immediately. Good San Francisco data recovery specialists offer a range of services to recover and repair lost, deleted, corrupted and damaged files, including the following. 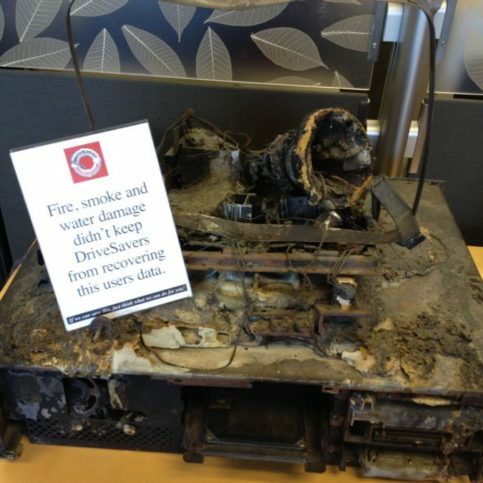 Fires, floods, home disasters, major spills, jarring, dropping, or other hardware destruction or damage that leaves computers or file storage irreparably damaged can result in lost files or corrupted data. Luckily, many good computer data recovery services in San Francisco can find and retrieve data and files even if the computers or hard drives it's stored on is no longer functional or repairable. 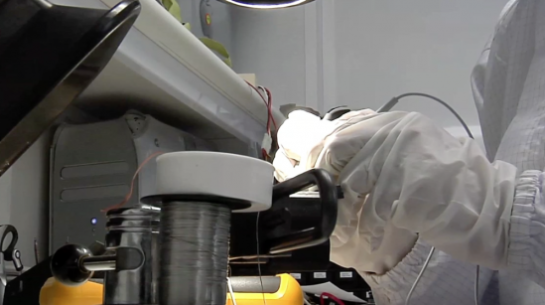 Cleanroom data recovery, also known as clean room data recovery, are data recovery services performed in a clean room, or one that has very low levels of dust, microbes, chemicals and other potentially damaging pollutants. Cleanrooms are specially controlled for fewer and smaller particles. This protects the computer hard drives and data against further damage and corruption. Logical damage is the term for computer data errors and corruption that occur with the software rather than the hardware. This often occurs when data on a computer's hard drive is unreadable or inaccessible due to damage to the partitions or file system. It may also be a result of media errors. These require a software solution such as file corruption repair, file systems repair, and media errors repair. Not all data may be recoverable in these events; sometimes repairing the damaged systems can only retrieve some of the data lost. Corrupted files, including corrupted executable files, are those that become suddenly unusable, inoperable or inaccessible. This may be due to a bug or defect in software, a hardware problem, a virus, or another problem with the hardware or software. San Francisco computer data recovery services may be able to recover corrupted files and repair them; other times complete repair and retrieval is impossible and the best that can be done is to recover an earlier saved version and replace the newer corrupted version with a less-recent version of the same file. This doesn't preserve the entire content, but can often retrieve most of what was lost. Files that are accidentally deleted and overwritten or those that are accidentally saved over are often recoverable. The best advice for individuals who have accidentally deleted or overwritten a file is to stop using the computer immediately. Accessing, changing or saving additional files can contribute to the damage. Local computer data recovery services in Nob Hill, North Beach, the Sunset District, SOMA and the Bayview District and other areas can usually recover overwritten files (or fragments of them) by using software built for that specific purpose. Files that are accidentally deleted may be recovered, especially if the computer user notices their mistake or that the files are missing shortly after they've been deleted. Saving or accessing other files may make it harder or impossible to recover deleted files, so the sooner the files are recovered, the more likely it is that they'll be fully recoverable. Most San Francisco computer data recovery companies offer diagnostic services to locate missing or damaged files, explain the reason for the damage or data loss, and gauge the chance of recovering and restoring that data. Some companies offer this as part of a package deal for recovery and repair, while others will perform the diagnostic service separate for customers who want to attempt to recover the data themselves, or to see if recovery is possible before purchasing a package or signing a contract for computer data recovery services. Damaged, broken or corrupted USB flash drives, memory cards and other storage devices can falter and lose data just as can hardware storage. Some San Francisco computer data recovery specialists in the Tenderloin, the Excelsior District, and Bernal Heights and other areas can restore and recover files from flash drives, memory cards, USB drives and other external storage devices and locations. Hard drives that are corrupted, damaged, broken, have crashed or experience other problems that make data access impossible can often be repaired or the information on them can be retrieved by professional data recovery companies in San Francisco, including those in Sunset District, Richmond District and Mission District, Chinatown, Diamond Heights, Duboce Triangle, Hunters Point, the Mission District, Twin Peaks, Western Addition, Bayview District and beyond. Files that have been purposely deleted or scrubbed from computers, hard drives, flash drives, and other data storage devices may be recoverable and usable for legal purposes. Forensic data recovery is a specialty offered by some San Francisco computer data recovery services, and can often be used in civil and criminal investigations. It may also be used for auditing purposes and other investigations. The following terms and definitions are those that deal with computer data recovery in personal computers and office computers. Understanding these terms may help you better understand your computer data issues and better communicate with the computer data recovery company you hire. Files that are intentionally or accidentally deleted are referred to as accidentally deleted files or accidental file deletion. This may be malicious or accidental due to long work hours. Software solutions exist to accidental file deletion, but computer data recovery specialists may need to be called in some cases. A copy of data on computer drives that is maintained for historical reference or use as a reference document is known as an archive. A feature in some computer programs that automatically saves work on a set schedule. Auto Save is designed to help recover files or make them easier to recover in the event of power loss or unexpected computer shutdown. Auto save may not save documents immediately, but it can keep users from losing all of their work by making available a recent draft of their documents. The process of periodically saving copies of files is known as backup or backing up files. These files are often encrypted for additional protection. Backup may be automatic, scheduled or performed by the user. These backup files may be saved on the computer, an external hard drive, or to the digital cloud. The location to which backup files are saved is known as a backup location. Backup locations can be on the same machine, external hard drives, CDs or DVDs, USB drives or thumb drives, to the digital cloud, online backup servers, or remote servers. Cloud backup is a form of file and data backup that saves copies of your data on online servers. These online servers are maintained offsite at an external location by an online backup service. Most of these cloud backup services are automatically set to update every time the user saves or accesses a file. Others can be force backed-up or backed up on a set schedule (i.e. every day at midnight, etc.). Computer forensic data recovery is the use of special data recovery techniques that find, restore, save and preserve files and data for use in legal matters. Corrupted files, including corrupted executable files, are those that become suddenly unusable, inoperable or inaccessible. This may be due to a bug or defect in software, a hardware problem, a virus, or another problem with the hardware or software. Good computer data recovery services may be able to recover corrupted files and repair them; other times complete repair and retrieval is impossible and the best that can be done is to recover an earlier saved version and replace the newer corrupted version with a less-recent version of the same file. This doesn't preserve the entire content, but can often retrieve most of what was lost. Most good computer data recovery companies offer diagnostic services to locate missing or damaged files, explain the reason for the damage or data loss, and gauge the chance of recovering and restoring that data. Some companies offer this as part of a package deal for recovery and repair, while others will perform the diagnostic service separate for customers who want to attempt to recover the data themselves, or to see if recovery is possible before purchasing a package or signing a contract for computer data recovery services. Files that are not accessible, damaged or missing due to physical or logical damage to a computer hard drive or storage disk. Computer data recovery may be needed to restore and recover these files. A data recovery service specializes in locating, restoring and retrieving lost data from damaged or corrupted computer drives. When information on a computer is removed by the computer system or user activity either by accident, malfunction or on purpose, it results in deleted data. Deleted data is rarely completely erased when it is deleted, however. Instead, it remains on the drive in whole or in parts until it is overwritten or wiped clean. Even in these instances, deleted data may remain in metadata form on the computer. Computer data recovery companies may be able to restore this data using professional and expert techniques. Files that have been purposely deleted or scrubbed from computers, hard drives, flash drives, and other data storage devices may be recoverable and usable for legal purposes. Forensic data recovery is a specialty offered by some computer data recovery services, and can often be used in civil and criminal investigations, auditing purposes and other investigations. Hard drives that are corrupted, damaged, broken, have crashed or experience other problems that make data access impossible can often be repaired or the information on them can be retrieved by professional data recovery companies. When one or more of the read-write heads touch the rotating disk surface rather than floating on the air cushion over the disks. Sometimes scraping and grinding noises are audible. A head crash causes severe damage to disks. Data loss may be major or complete, and it may be impossible to retrieve all data on the drives. 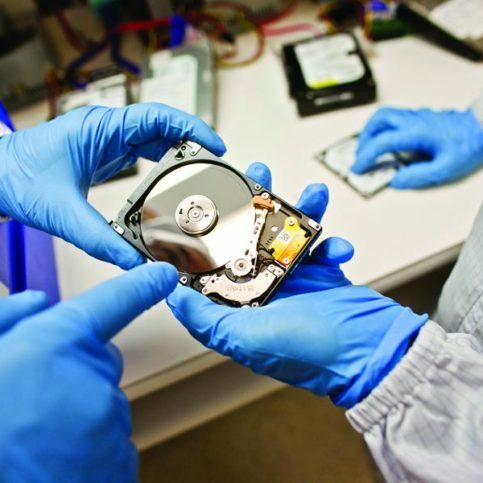 Hard drives subject to head crashes require repair with specialized tools in a clean room. Damage to a hard drive caused by file corruption, hard drive corruption or operating system failure. Logical damage is usually caused by computer viruses or malware infection, but may include physical damage to a computer, and power surges. Diagnostic services that may locate missing or damaged files, explain the reason for the damage or data loss, and gauge the chance of recovering and restoring that data. Some companies offer this as part of a package deal for recovery and repair, while others will perform the diagnostic service separate for customers who want to attempt to recover the data themselves, or to see if recovery is possible before purchasing a package or signing a contract for computer data recovery services. Damaged, broken or corrupted USB flash drives, memory cards and other storage devices can falter and lose data just as can hardware storage. Good computer data recovery specialists can restore and recover files from flash drives, memory cards, USB drives and other external storage devices and locations. Q: Why choose Diamond Certified computer data recovery companies? A: Diamond Certified helps you choose computer data recovery services from your area with confidence by offering a list of top-rated local companies who have passed the country’s most in-depth rating process. Only computer data recovery companies rated Highest in Quality earn the prestigious Diamond Certified award. Most companies can’t pass the ratings. American Ratings Corporation also monitors every Diamond Certified company with ongoing research and ratings. And your purchase is backed by the Diamond Certified Performance Guarantee. So you’ll feel confident choosing a Diamond Certified computer data recovery contractor near you. Q: Is my computer going to fail and lose data? A: If your computer is making grinding, abnormal buzzing and humming, ticking, clicking or other strange noises, stop using it immediately. Do not attempt to turn the drive on or off, or try to save or recover data. This can cause further damage and can even lead to irreversible and permanent data loss. Q:Is my computer data recoverable? A: That depends on the reason for and magnitude of your problem. Computers and hard drives are machines, and mechanical failure is possible for many reasons. Some hard drives and the information on them can be repaired and recovered. However, not all hard drives can be recovered. This can include instances where the computer read and write heads crash and damage the magnetic storage and destroy data. Contact a professional computer data recovery service near you to have your particular computer or drive examined. A: The process of data recovery is retrieving data (either deleted, damaged or otherwise inaccessible) from computers, computer hard drives, removable drives, digital recorders, tapes or other storage devices. Q: How long does data recovery take? A: Depending on the problem and hardware, most data that is recoverable can be recovered in a few hours or days up to a week. Your computer data recovery specialist can give you a more precise idea of how long your particular data recovery services will take. Q: Can I recover my computer data myself? A: Some individuals have had success using programs and home data recovery software. However, attempting to use these programs or software may further corrupt the hard drive or disk in question and may make data unrecoverable, even for professional data recovery services. Experts advise never trying to use a utility, software or other home computer data recovery program; especially if it doesn't allow you to undo changes or if it makes clicking, grinding, buzzing, scraping or other sounds. That can indicate damage to the head mechanism or a head crash, which can completely destroy your drive and your data. Q: Is it possible to prevent computer data loss? A: There is nothing you can do to prevent computer hard drives from crashing, as all machines will eventually fail. However, you can back up your data to prevent data loss. Routine backups, automatic data backups, and even automatic data backup to the cloud or an external device. Some users prefer to have multiple backups in case of backup failure or a disaster that destroys the computer and on-site backups. You should also install a good anti-virus program on your computer and update it regularly to guard against data loss due to viruses. Running Scandisk to test your hard drive for damage or problems can prevent crashing. Finally, protect your computer from damage. Keep your computer clean, free of dust, and away from moisture and motion. Heat and vibration can cause your hard drive to fail, so avoid temperature spikes, direct sun and shaking or shifting your computer, especially while it's powered on. Q: How often should I back up my computer hard drive? A: Back up your computer data regularly. How often depends on how much you use your computer and what you store there. If you keep irreplaceable data such as photographs, records, work, and other important items, you'll want to back up very regularly or even daily. Immediate backup such as with cloud systems or data sync programs can prevent loss of even the things that you're currently working on during a computer failure. Q: How long do deleted files or missing files remain on my computer? A: Deleted files remain on computer hard drives until the space is needed for new data or until the information is wiped or deleted securely. Deleted files are written over as computers need the space for new data. At that point, the information is completely destroyed and there is no way to recover it. If you are missing files or have deleted files, stop using your computer until you have a professional recover the missing or deleted files. Continuing to use the computer can erase documents and data that are potentially recoverable. Q: Can data from reformatted drives be recovered? A: Usually, yes. Reformatting doesn't delete data, unless certain formatting is done. It's saving new data on the formatted drive that writes over the deleted data. If you want to retrieve data from a reformatted drive, don't save any new information. Instead, call a computer data recovery company near you for help in retrieving deleted data.